The consortium has setup four different reference test areas with very accurate ground truth data for performing quantitative assessment and validation. Those areas have current and historical datasets and future field trips are also planned during the project for ensuring proper validation. The proposed areas are complementary and cover fundamental classes (i.e. crop, forest and urban) with different environmental conditions. Doñana (Spain) is a specific test site for agriculture and related landcovers, close to Seville in the south west part of Spain. In this area we can find three different sites with interest for this project: (1) wetlands at the Doñana National Park, (2) rice fields, and (3) other crop fields. South Tyrol (Italy) is an autonomous province in northern Italy and has an area of 7,400 square kilometers. Overall, 44% of South Tyrol is covered by forest which is important from the economic point of view. Coniferous forest dominates the area with 90% overall coverage, followed by around 7% mixed forest stands while broadleaved forest species covers only a small percentage (3%) in lower altitudes. West Wielkopolska (Poland) is located in the west part of Poland, in one of the most intensive agricultural regions of the country (Wielkopolska) which very often suffers from droughts. The pilot area contains three sites representing different landcover types that will be studied in the framework of this project: (1) agricultural site near Poznań, (2) urban site , and (3) forest site. Sondakylä (Finland) A test site near the city of Sodankylä, northern Finland, at the location of the Finnish Meteorological Institute – ARC has been selected for the evaluation of the derived methodologies under boreal forest covers. The site is located 120 km north of the Arctic Circle and lies in the boreal/subartic zone, exposed to continental climate. Two main land cover types are present for analysis of snow covered ground: Boreal forest and peatland/bog. Sentinel-1 is a new fleet of ESA satellites, delivering a wealth of data and imagery that are central to Europe’s Copernicus programme. The C-band Synthetic Aperture Radar (SAR) onboard the S-1 builds on ESA’s and Canada’s heritage SAR systems on ERS-1, ERS-2, Envisat and Radarsat. 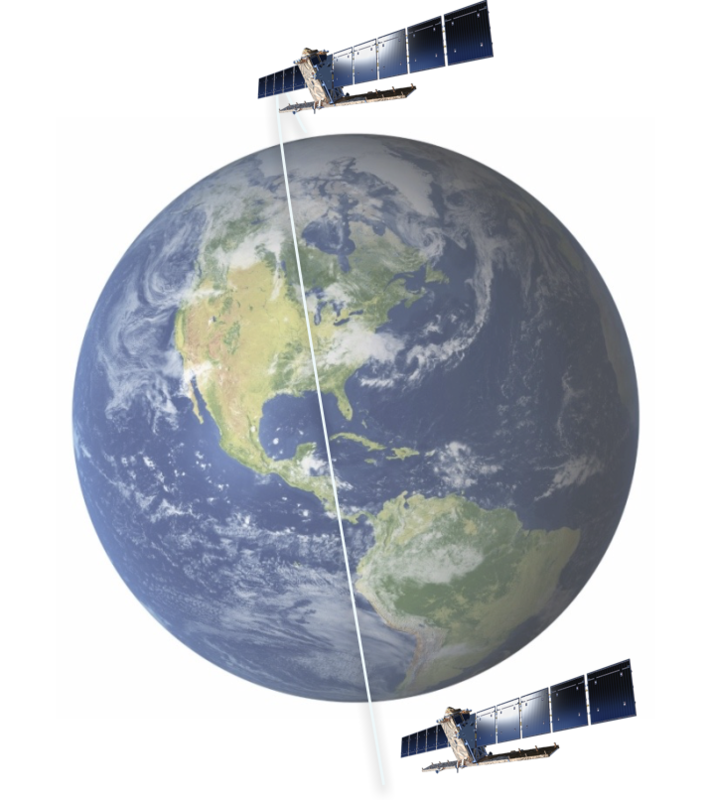 As a constellation of two satellites orbiting 180° apart, the mission images the entire Earth every six days. As well as transmitting data to a number of ground stations around the world for rapid dissemination, Sentinel-1 also carries a laser to transmit data to the geostationary European Data Relay System for continual data delivery. For each site, both ascending and descending orbital passes are employed and also two parallel tracks (near and far range) are considered, which provides the ability to detect/compensate effects induced by the acquisition geometry. Therefore, a total of four stacks per site are employed within the framework of the project. If you are interested in exploring this data yourself, think about participating in our round robin starting in Fall 2017.